Pallet collars are completely on trend with the predictions for 2019 industrial packaging. It is not too difficult to figure out what is going to be trending when it comes to packaging in 2019 but many businesses do not realize how pallet collars can help to be on the forefront of those trends. There is a push to reduce, reuse, recycle and the push is coming harder than ever. This push will shape the trends in packaging for 2019. Regulatory agencies around the globe are stepping up their laws when it comes to packaging and consumers are far savvier today than ever when it comes to paying attention to what the entire supply chain is doing about packaging. Pallet collars fit into the new landscape of packaging nicely. Packaging over the last few years has become a part of a blame game of sorts. The public blames governments for the excess amount of waste that is generated from packaging, while the government blames industries. Ultimately, everyone is demanding change. 2019 is going to be all about change. Either the regulatory bodies will require stricter than ever guidelines, or the consumers will force industries to make those changes by avoiding doing business with industries that do not heed the call of the demand for change. Moving in the right direction starts with having the right tools. What Are the Benefits of Adding Pallet Collars to Your Packaging? Pallet collars offer great solutions for business that are looking for that “what’s in it for me?” value. 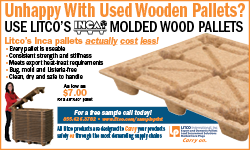 Transforming pallets into reusable, resizable, no waste conveyances is what wooden collars have to offer. The list is extensive when it comes to the benefits that can be realized, not just to get in on the new packaging trends but for your overall warehouse activity. Anything that will cost less and wind up delivering better results should always be investigated as a potential worthy change. 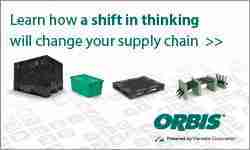 Getting familiar with this “add on” to your pallets can reveal exactly how they can be used to improve your supply chain, reduce waste and risk and better protect your goods. First let’s look at what they are, then we will look at how flexible they can be and finally we will quickly review how they can meet both regulatory and consumer expectations. What are they? Many people describe them as a replacement for a wooden box, but they are much more. Collars come in standard sizes, they can be either 4 boards or 6 boards that are hinged together on all sides. The depth can be adjusted by simply removing or adding collars that easily stack. They do not require any tools to assemble. The collar is used to prevent spillage of goods, unauthorized entry into the contents of the pallet and to protect the goods. The flexibility comes in because collars can be stacked together to create a deeper box based on the size of the contents. This gives you a great deal of control not only in the warehouse but during transportation. Traditional wooden boxes do not allow for flexibility when it comes to depth. 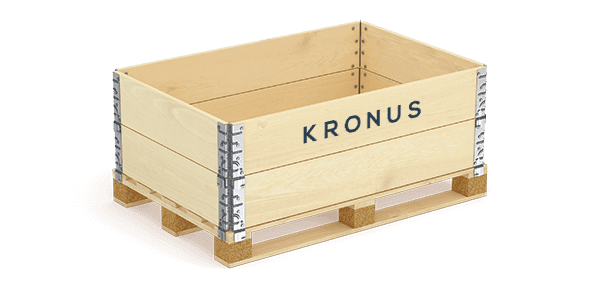 When you add wooden collars to a pallet, you get the durability of a wooden crate but the flexibility of other wrapping materials. They can withstand a great deal of weight. Of course, the ability to control the size of the container means you no longer must pay to ship “air” and that your goods are better protected against rough shipping situations. How is this going to help to meet the new trends in 2019? 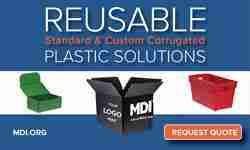 You will use less packaging when you have a packaging solution that can be custom fit to your specific needs. This, of course, cuts down on waste in the warehouse and for the end user. Wooden collars can be reused repeatedly, which means you buy less packaging, it also means that you need less space to manage your packaging. They are fully recyclable which means they do not wind up in the landfill. Even if you are not all about ensuring your warehouse is on trend. Pallet collars should still be something you are considering. They help to cut costs and they reduce risk. Reusable packaging simply makes better sense for your bottom line. Of course, the fact that there are no tools required to manage pallet collars and a single person can construct them on the spot means you can expect less handling injuries as well and less labor wasting time to construct crates. The fallout benefit is that your company develops a reputation as being a company that is concerned with making choices that are good for the environment. It is a win-win situation. Consumers will give your brand a thumbs up as will regulators. You will be ahead of the reduce, recycle, reuse trend! Making a simple choice to redesign your packaging to something that is safer, stronger (than shrink wrap) and cost-effective can be the catalyst to becoming the brand that cares. Is there a solution that will work across the board from many different industries to get on trend with the changes for 2019? The answer seems so simple, but it is true. Adding pallet collars to your packaging materials can deliver the solution. Ultimately this solution requires a good look. 2019 may teach your group that being on trend sometimes means doing business smarter by choosing simple options and reaping the rewards.